Interesting cinema screen grab of a vehicle which appeared in a British TV Documentary "Nation on Film; Selling Cars" made in 2006, David Jason telling a story of how film sold the car before television came along. -- This looks a little like a Wolseley with a wrap round radiator, but the straight dumbirons with swinging hangers point very much to a cca 1902 Argyll Rear Entrance Tonneau made by the Hozier Engineering in Glasgow. Started in 1899 with copied Renault and still around in 1932. 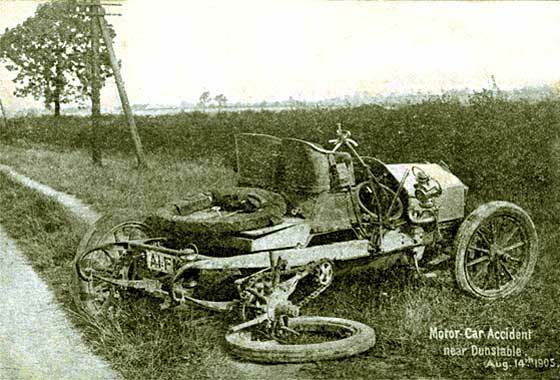 Gruesome postcard received from Tom Cosens (UK) showing a crashed two seater car after an accident near Dunstable. Can we determine the make? -- We have established that in the accident a Mrs Nancy Hawant, the driver, was killed when she was overtaking a heavy lorry and the wheel hubs touched. This occurred on 14th August 1905 on Watling Street. Her husband and another passenger were injured. 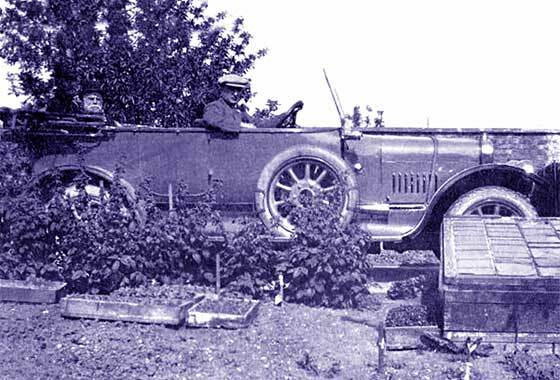 Our John Warburton believes the car was a 'trade' cca 1904 Motobloc Two Seater. Lovely photo posted on the Old Motor website by Tony Kaye (UK) taken in about 1908 of Arthur Blackman, his Grandfather's brother. Both were chauffeurs to wealthy families in London. Photo probably taken at Alton Lodge in Roehampton, then a village southwest of London. Now a council estate of apartment blocks. -- Note transverse spring, round radiator, and 'British' bonnet handle. RAC badge, so after 1907. 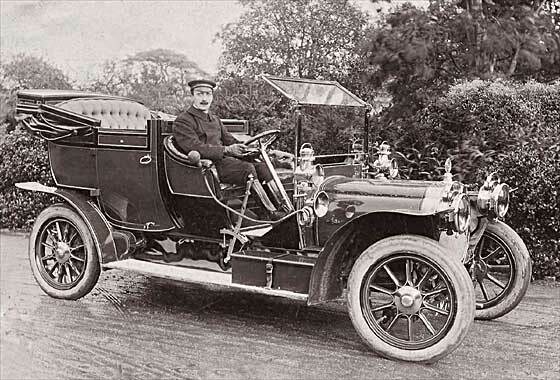 John Warburton rightly spotted it was a cca 1908 Deasy Tourer, prob 24 HP. Fabulous period photo received from Peter Watts of Association of Singer Car Ownershe (UK) showing his Grandfather (standing) who worked for General Sir Horace Lockwood Smith-Dorrien and asking if we could identify the car. -- The circles of the outer and inner rims of the rad are closer at the bottom, not a round badge, has gas lighting. This is a Coventry made cca 1909 Maudslay 25/30 Landaulette. No Reg to aid dating, but AA badge has no wings so pre 1911. Steam engines in 1835. Exciting action photo received from Chris Nicholls, Isle of Man, (UK) which he will be submitting to a photographic competition and asked our help in determining the make for the title. -- This is a very well known car frequently seen at veteran competition meets around the UK and normally campaigned by Hicky Hickling. 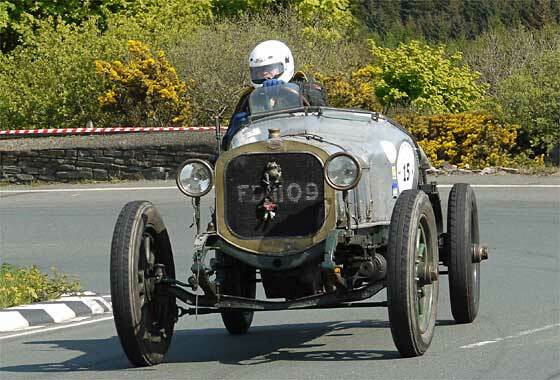 Quick look at the Celton Manx Classic of 2011 determined that Hicky Hickling came second in the new 'Edwardian Class' on all three courses in his 1911 Sunbeam 16'20 Racer. 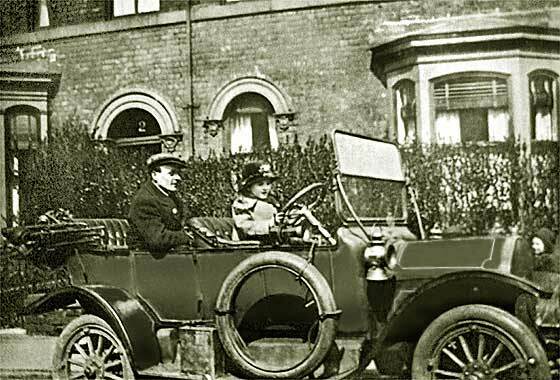 Photo received from Graham Smith (UK) from his wife's family history collection of her Grandfather, who was a private chauffeur to a businessman in the Sunderland area. 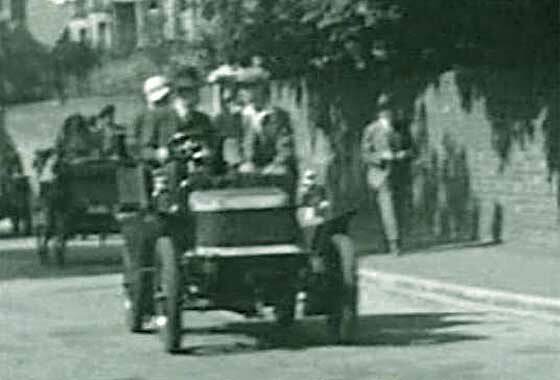 Graham had trawled through hundreds of veteran and vintage car images but as yet has not been able to identify what the car is. -- American made at the time when the manufacturer was changing branding from EMF. From the wedged rear door and scolloped bulkhead, this is cca 1913 Studebaker SA25 Touring. Yet another lovely photo received from Cicos Florin in Constanta by the Black Sea (Romania) who is interested in old cars of Romania and Constanta. 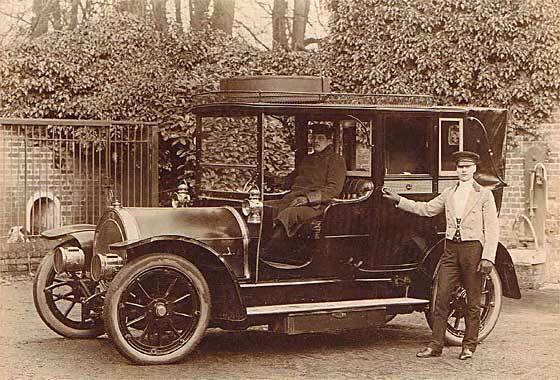 -- Lovely formal photo which seems in keeping with the age of the car which is a cca 1914 Ford Model T Touring. The grim little girl sitting on the front mudguard must have been quite light and the bunch of flowers is almost as big as she is. Interesting to note that the photographer had asked everybody to look left, but a few chose not to! One of three lovely photos received from Barbara and Arthur Roberts (USA) showing their ancestors and asking if we could identify the vehicles shown. -- This photo is of Arthur's grandfather and great grandfather. They were taken in New England in the USA, probably in the early 1900s. They were probably taken in the state of Maine or Massachusetts where these men lived. This one shows a wooden upright under windscreen so cannot be later than ca 1914 Ford Model T Touring. 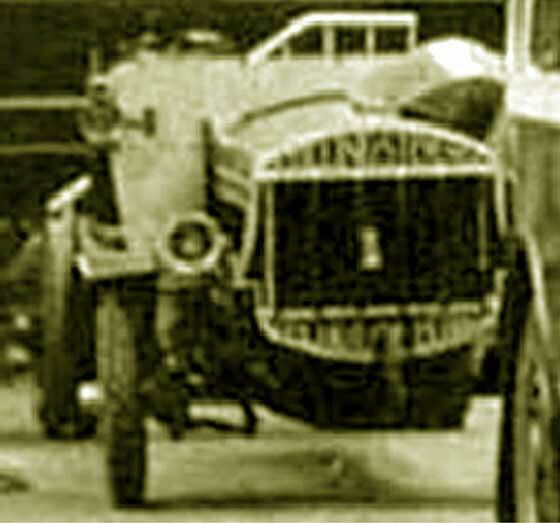 Very small and very blurry photo received from Eric Sherman (UK) saying this was his great-grandfathers motor. It was stored at the old London Transport Museum at Clapham Common until closure mid 1960's. 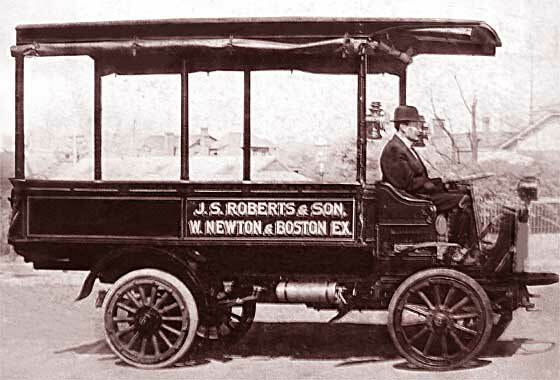 -- Very difficult to work from such poor photos but from smaller rad size it is a cca 1915 Tilling Stevens Petrol Electric, a bus or lorry. Petrol engine drove generator providing electricity to traction motor driving rear wheels. Easier use than then crash-box gearboxes. One of three lovely photos received from Barbara and Arthur Roberts (USA) showing their ancestors and asking if we could identify the vehicles shown. -- This one shows an interesting truck of the WW1 era that was run from Boston to West Newton, Mass. as it says on the side of the truck. 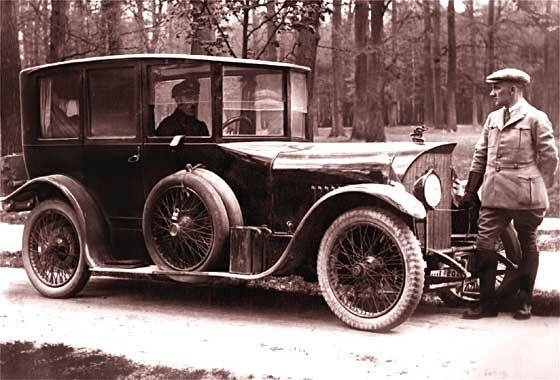 This is a cca 1916 Autocar XX1-F Truck, very popular at the time. 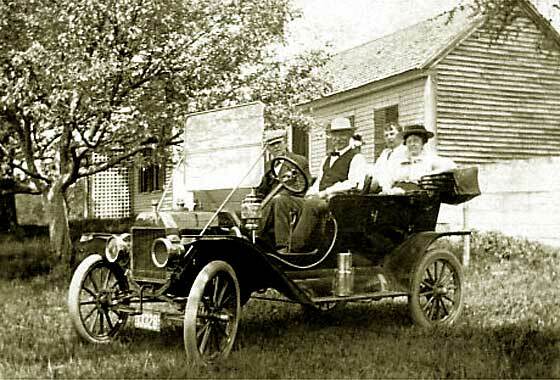 Autocar were made in Ardmore Pennsylvania, starting with cars in 1901 and trucks in 1907. Thereafter trucks became the mainstay. 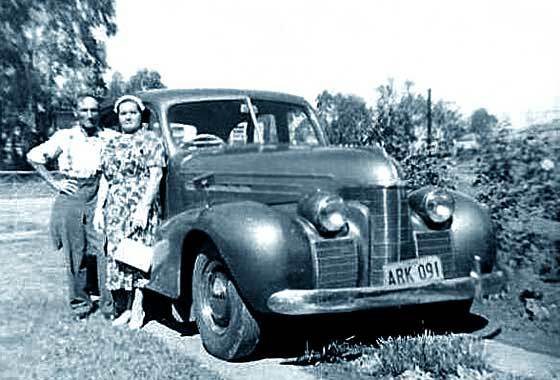 Nice agricultural photo received from John Fare (UK) of a car that belonged to his Great Grandfather. It is the only one he has and unfortunately it is only a side view. -- Not only that but most pointers to identification are also hidden by shrubs and cloches. However enough remains to say Sunbeam and for expert Bruce Dowell to identify it as a cca 1918 Rover Sunbeam 16hp Tourer. Government decreed in WW1 that Rover build Sunbeams so SMC could build aero engines and planes. Series of photos received from Ravindra Naruka (India) saying he has just purchased this British old beauty but cannot find out any info on it. 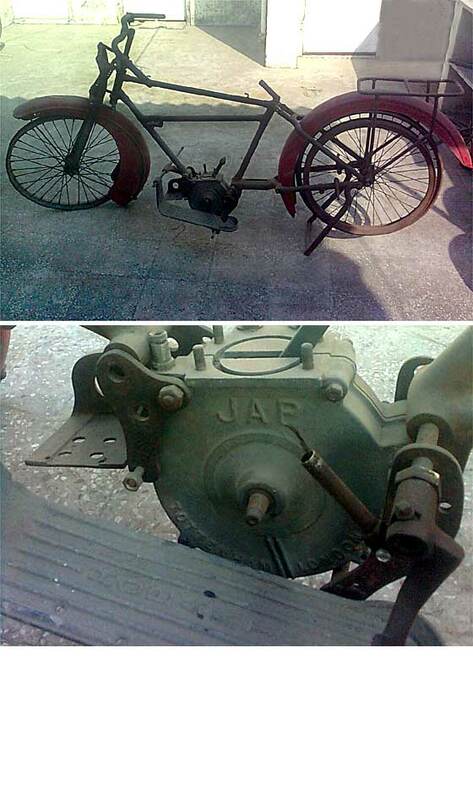 JAP engine and name Hobart on footplate.-- This looks like a cca 1920 Hobart JAP, probably 300cc. Hobart Bird & Co of Coventry made bicycles from 1897 and were into motorcycles by 1901. Manly assembly operation and started with JAP in 1913, V twins by 1915. Became Rex-Acme in 1923. Our bike expert Robin Vince thinks could be post Acme. Due to an earlier serious virus attack to our website we appear to have lost the originator of this enquiry so we cannot provide any details about the photo. -- The pointed spitzkuhler rad is highly distinctive and is one of a series used by the German company Walther Steiger & Co, Burgrieden. Steiger were formed in 1914 and repaired aircraft engines in WW1. Commenced cars in 1920 but were gone by 1925, when Steiger went to the Swiss Martini. 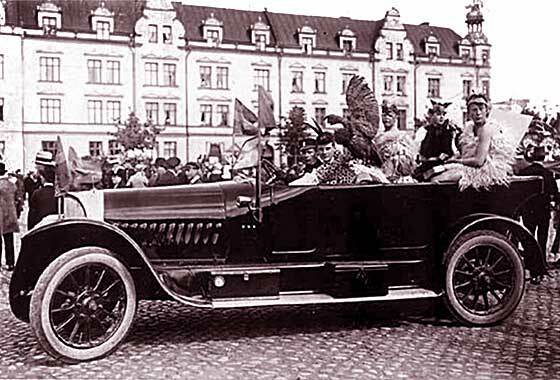 This is a cca 1921 Steiger 20'50PS Limousine. 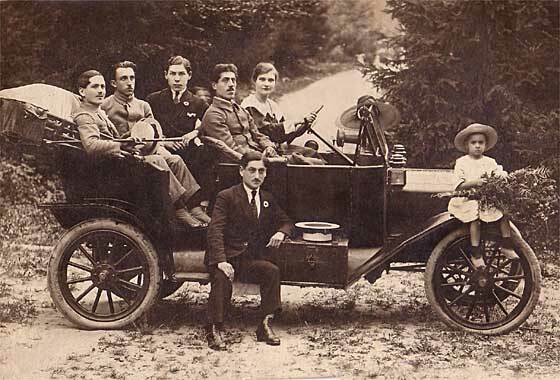 One of three lovely photos received from Barbara and Arthur Roberts (USA) showing their ancestors and asking if we could identify the vehicles shown. -- This one is dated 1922 and therefore shows a new style rad on a new cca 1922 Chevrolet Superior Touring which was being driven from New York City to Cincinnati Ohio; father as a child slept in the back seat and it took 5 days to make the trip. He told that he saw many cars off the road and that most had their wooden spokes broken. We had an invitation from Leif Holmberg (Sweden) to visit the website of Automobilhistoriska Klubben where there are many photographs recently placed of cars needing investigation. -- Spitzkuhler radiator and looks like an Opel, but as it has has six wheel nuts, twelve spokes front and back, slanted louvers, bulkhead louvers, windscreen mounted side lights, low headlamps, etc, it is not the 8'25, nor the 14'38. 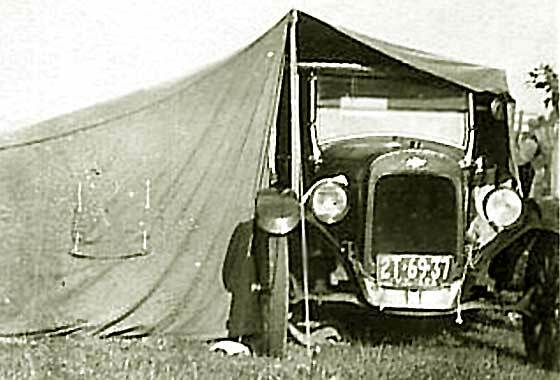 Identified by Halwart Schrader as a cca 1923 Opel 21'50 Tourenwagen. Another series of photos received from Ravindra Naruka (India) saying he has bits of another British motorcycle and would love to have it identified. -- Sturmey Archer gearbox; Springs on forks; long slope top tube ; chain drive; back brake opposite side to sprocket, downslope and angular profile to crankcase mag drive; angular profile fins. Confirmed by two of our experts as a cca 1925 Norton 16H Motorcycle but front and rear brake later, and forks could be earlier. Tyres too big for period. Yet another lovely photo received from Cicos Florin in Constanta by the Black Sea (Romania) who is interested in old cars of Romania and Constanta. 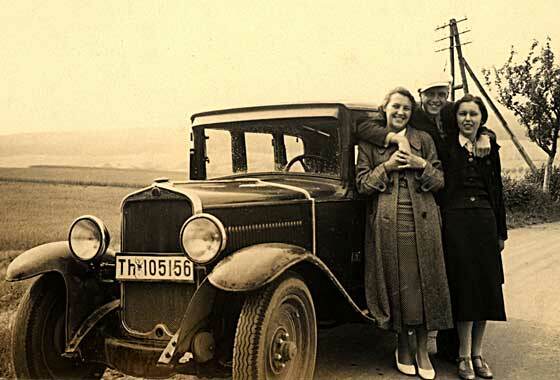 -- This one shows a formal family group in what looks like a relatively new cca 1926 Buick Standard Six Touring. David Dunbar Buick sold his plumbing and bathtub business in 1899 to form Buick Auto-Vim to start manufacturing farm and marine petrol engines.Although Buick company went on to be General Motors, Buick died ousted poor in 1929. Yet another lovely photo received from Cicos Florin in Constanta by the Black Sea (Romania) who is interested in old cars of Romania and Constanta. 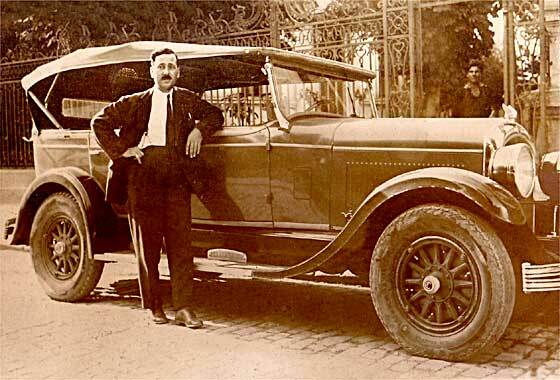 -- This one shows a dapper gentleman standing next to a rather nice cca 1926 Chrysler B70 Phaeton built only a couple of years after the company was first formed. It had built 36,000 cars in the first year, a record, and by 1927 had risen from 32nd to 4th in the US car manufacturing league and partaken in a number of races at Le Mans. Another photo received from Raoul Rainer from Stuttgart (Germany) which was taken in 1936 in Thuringen province of Geramany (TH). He thought the car may be a Brennabor but the radiator looks different. 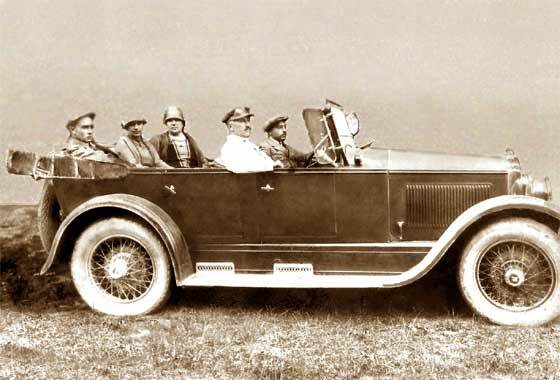 -- We initially thought early Chrysler Group but now quite sure the car is Italian cca 1929 Fiat 514 Saloon. As German registered, could be Fiat 521 made in Fiat-NSU plant in Heilbronn; little to distinguish on the four door saloons with three windows each side, but 514 is more 'compact'. Nice photo received from Tricia Burnett (UK) asking if we can help identify the make and model of this lovely car? 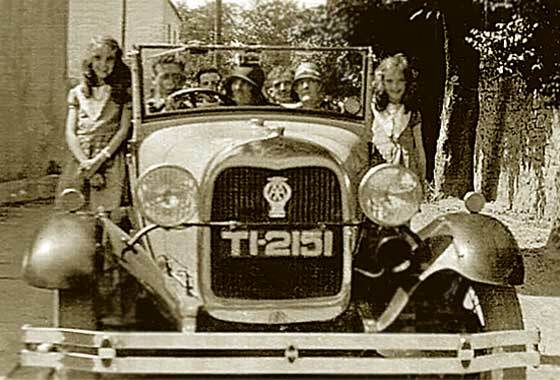 Her mother is pictured on the right running board, her sister on the left, and other family member inside the car. She loves this photo and would very much like to know what the car is. -- Ford A but note that it has the smaller shorter radiator so has to be 1928/9 Ford Model A Standard Phaeton. Registration TI is County Borough Limerick, on the Shannon in Ireland. Lovely photo received from Louis Speer (Australia) showing a car which he thinks has a New South Wales registration. He is trying to identify it and any help would be appreciated. -- Distinctive frontal treatment makes precise dating quite easy as this style of grille was only used in one year. This is a cca 1939 Oldsmobile 70 Sedan. 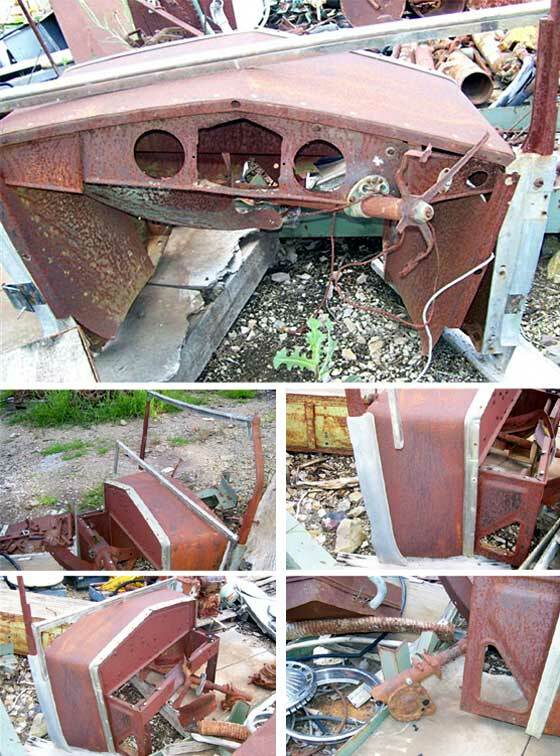 What is not so easy to clarify is that the body could have been made by Holden Motor Body Builders, purchased by General Motors in 1931 with two plants in NSW. 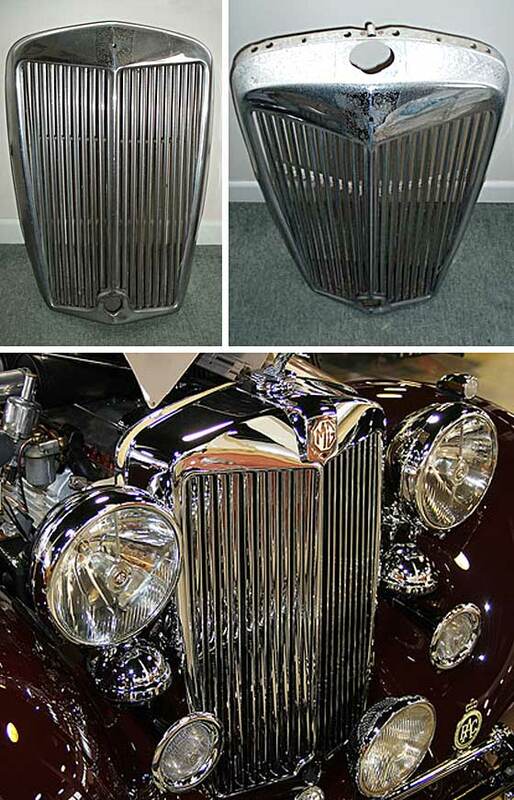 Series of photos of a radiator grille received from Jon Deare (UK) given to his brother-in-law who died recently. It is 26 1/2" high and 19" wide at the top. The imprint from the missing badge is about 3 1/2" square and may have come to a point at the bottom. -- The shape is very reminiscent of a cca 1939 MG WA saloon or coupe. Top end of the MG range. Seems had 9 or 10 blades per side. The MG badge assembly was a screw-on rectangular cap over the top with a point at the bottom. 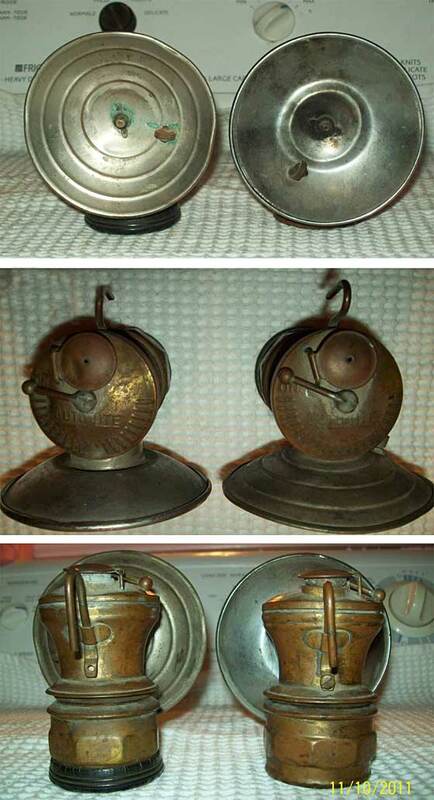 Series of photos of an Autolite Carbide lamp received from Mallary Kehoe (USA) gasking if we can identify what kind of automobile these lovely headlamps would have been on. Were they from a steamer? -- The Auto Lite lamp was an American lamp manufactured in Staunton, IL, later in Chicago, by The Universal Lamp Company founded in 1913 by Jacob S. Sherman. They made over 9 million carbide hat-lamps mainly used in mines which included these. No glass fronts so not from a car. Set of photos received from Noel Adams (Australia) asking if we had any idea of what it may be. He says it reminds him of a Lancia. Beyond that we have no other information on the photo or location. -- We regret this enquiry is a little bit too specialised for us. Our knowledge base relates mainly to the general overall veteran and vintage vehicle scene, but regretfully not always in detail. Details were circulated but no suggestions came back. Noel has since identified it as a Fiat 509. Set of photos received from Kevin Ruchel (Australia) of car we cannot identify abandoned in the desert near Woomera in South Australia. Crankcase is cast aluminium with cast iron cylinder block rigidly fixed to the chassis at the rear of the crankcase; no front engine mount. Generator on front left side. Exhaust manifold with large brass nut to clamp to pipe. Tail shaft runs inside a tube rigidly mounted to gearbox & differential. Four brake shoes at each hub, linings are canvas, ali shoes.